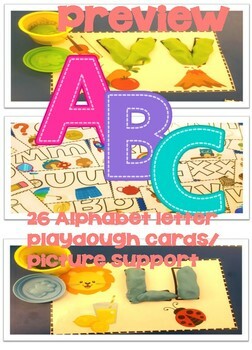 26 alphabet play-dough letter cards. These alphabet play dough cards not only help students with their letter recognition, but they help support fine and gross motor skills by using the play dough to build the letters. 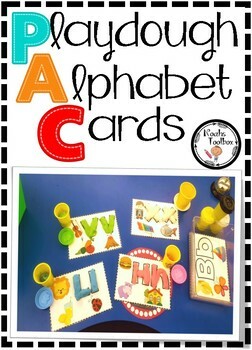 Great for ELL and SPED students and a creative hands-on way for kinesthetic learners to learn their letters and sounds. 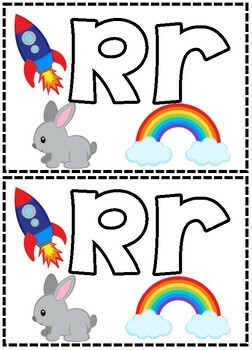 26 alphabet bubble letters with picture support. 1. Print with card-stock paper ( Option B) Print on normal white paper. 3. play dough ( use any form of play dough you prefer ( I have each student use only 1 play dough to avoid mixing the play dough colors. Play-dough can be bough at many stores or online. 4. Cut up all the cards and put them in a small bin. Have each student have their own play dough. Students pick a card and practice building the letter with the play dough. At the end of the activity I have students make a pile of all the letters they practice building and share with me the letter name and sound. 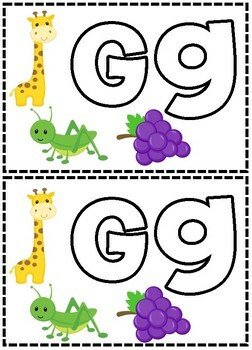 The pictures support students with the letter sounds. Looking for more creative, fun and engaging letter sound practice activities please check these out..
Don't Forget to Follow for Future Updates!